Because anyone who has the ability to work should be allowed to work. When they have the proof and the ability to show their skills. The goverment of Hamburg, and of Germany, should consider this aspect, to respect the ability of the people who have the patience, the interest and the motivation to work and to study. From September until December 2015 artists in Hamburg opened their studio for refugee artists from Ghana, Burkina Faso, Mali, Syria, Afghanistan, Libya and Iran. Their art works in film, painting, screen print, sculpturing, performance, rhythm & poetry reflect above all three issues: the country of origin, the way, the arrival. With guest artists from Lampedusa and Ghana as well as with an additional program by cultural workers, scientists and activists from Somalia, Eritrea, Italy, Sweden, Finland and Hamburg ort_m is a many-voiced forum for the topics migration, war, terror, camps, globalisation, the colonial past and colonialism in the present. Abbas J. · Abdulsamei H. · Abed H. · Adal Neguse · Adamamasha · Adanyira · A-Jay · Alan Hussein · Ansah · AMM Archivio delle Memorie Migranti · Andreas Schneider · Anne · Arbeitskreis Hamburg Postkolonial · Askavusa/Porto M · Asuquo Udo · Atai · Bakar K. · Balla · Boakye Y. · Carsten Krieger · Christina B. · Clement · Dieu-Thanh Hoang · Doro Carl · Emad Hashem · Fatemeh Hosseini Sattar · Ferial Akel Bou Hassoun · Francis · Frederick A. · Ghosoun Alhussein · Hassib · Hassim · Heide Sanati · HMJokinen · Ibrahim · Joe Sam-Essandoh · John · Joseph C. · Julien von Seherr-Thoss · Kamil S. · Karina Horsti · Khairullah C. · Khaled Abou H. · Kodwo Edusei · Maite Ortiz · Manuel A. 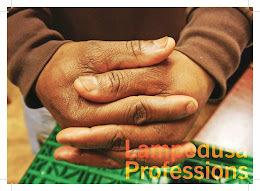 · Marily Stroux · Margret Weinbrecht · Members of Lampedusa in Hamburg · Mohannad A. · Mohsen Rezai · Mostafa L. · Naho Kawabe · Naji Alwrhani · Nana Osei A. · Obeda H. · Oboe · Odai A. · Ousman K. · Patrick Tagoe-Turkson · Perspektive Stadterkundung · Ronika · Safari · Sahar · Salah Zater · Salam A. · Salem A. · Samira Alizadehghanad · Shafiq Hussein Rezai · Simone Borgstede · Sonja Collison · Summer Sormani · Tania Mancheno · Vanessa Nica Mueller · Wasim R. · Zakaria Mohamed Ali u.a.